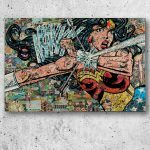 This one of-a-kind artwork is 18 x 24″ and is custom framed to 22 x 28″ in size. It was created for the Rochester Advertising’s event titled RAF, On The Side at the Rochester Contemporary Art Center. 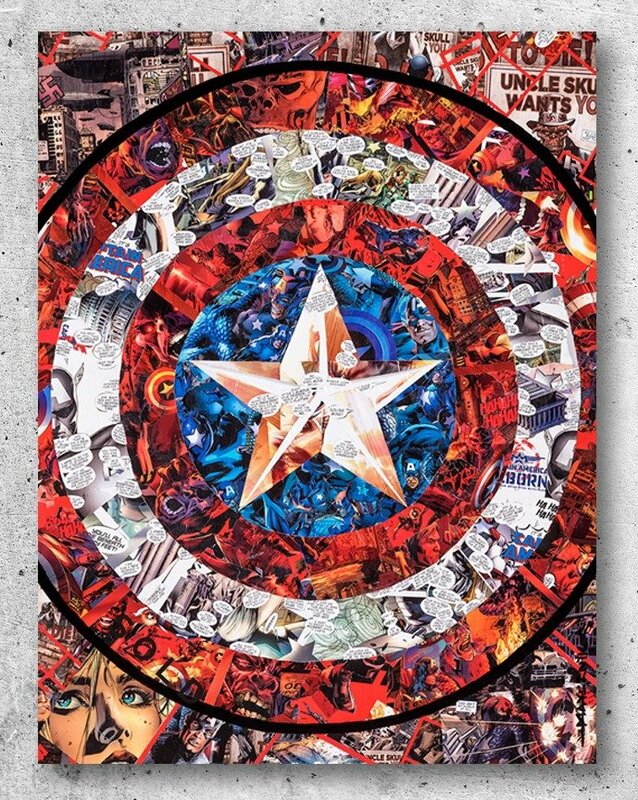 The work titled “Honor” features the shield of Captain America and is comprised entirely of only two comics in the Captain America Reborn series. Issues 5 and 6, circa 2010. SKU: ORIG_HO-0001. Category: Originals. 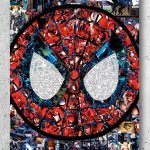 Tags: Captain America, Comic, Comic Book Art, Hero Collage, Limited Edition, Marvel, Pop Art, Poster, Shield.